Our melting cheeses provide the highest quality, full rich flavor, and smooth, creamy texture to ensure that your menu items are consistently excellent. Always natural, non-processed, and free of added artificial rBGH hormones, additives, and preservatives. Made with grade “A” whole cow’s milk. FLAVOR PROFILE: Rich, buttery, and mild, yet full-flavored. CHARACTER & TEXTURE: Can be shredded and sliced. Long, luxurious stretch when melted. The ultimate quesadilla cheese, with a rich golden hue. SUGGESTED APPLICATIONS: Quesadillas, queso fundido (broiled cheese), or enchiladas. Slice and use for grilled cheese and other sandwiches. Cut into cubes for assorted cheese tray. 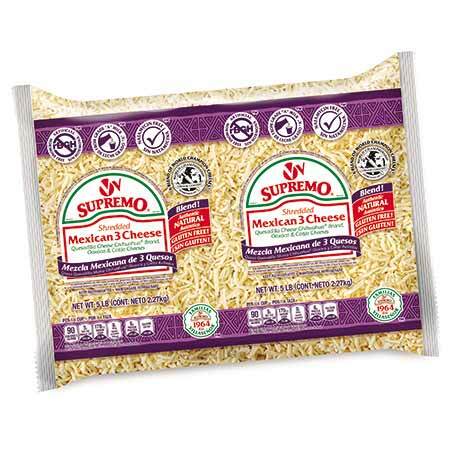 The brand of choice for all melting cheese applications, and an authentic alternative to Monterey Jack, Muenster, and Mozzarella cheese. CHARACTER & TEXTURE: Pre-shredded for convenience. Long, luxurious stretch when melted. 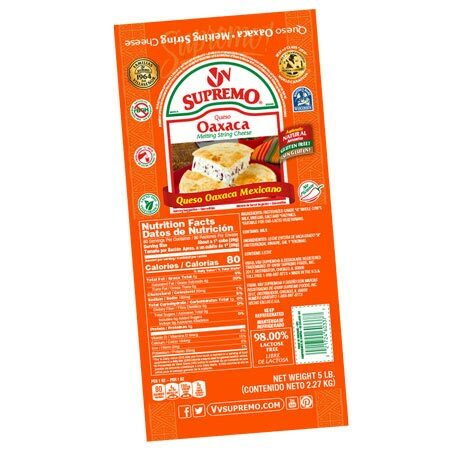 The ultimate quesadilla cheese, with a rich golden hue. SUGGESTED APPLICATIONS: Quesadillas, queso fundido, enchiladas, pizza, sandwiches, pastas, and casseroles. Any melting cheese application where top-quality product is desired. An authentic alternative to Monterey Jack, Muenster, and Mozzarella cheese. 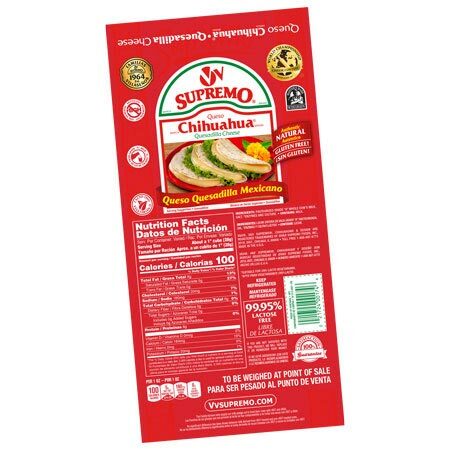 FLAVOR PROFILE: Rich, buttery, moderately spicy, with true jalapeño pepper flavor. CHARACTER & TEXTURE: Can be shredded and sliced. Long, luxurious stretch when melted. Festive flecks of red and green pepper. SUGGESTED APPLICATIONS: Quesadillas, queso fundido (broiled cheese), and enchiladas, as well as specialty pizzas. Slice and use for cheeseburgers, grilled cheese, and other sandwiches. Cut into cubes for bar snacks and cheese trays. The brand of choice for all melting cheese applications requiring a bit of heat, and an authentic alternative to pepper jack. FLAVOR PROFILE: Mild, rich, milky and slightly tangy. 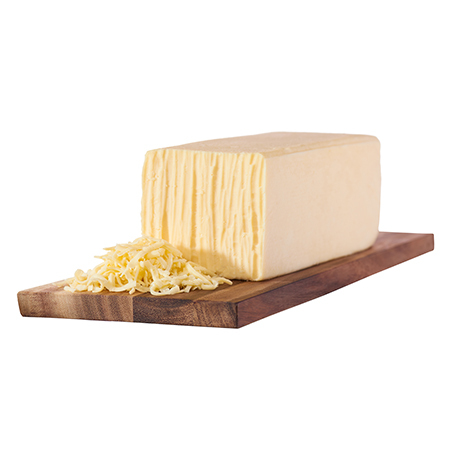 CHARACTER & TEXTURE: Stretched curd type cheese, with semi-soft texture. Can be peeled and eaten as string cheese. Also melts easily with a long stretch and slight chew in the bite. 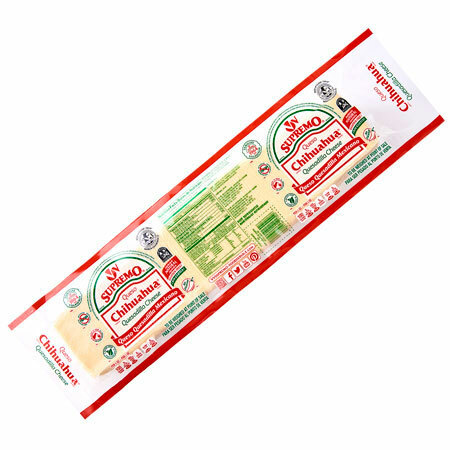 SUGGESTED APPLICATIONS: String this cheese and enjoy as-is, for snacks, sandwiches, and salads. 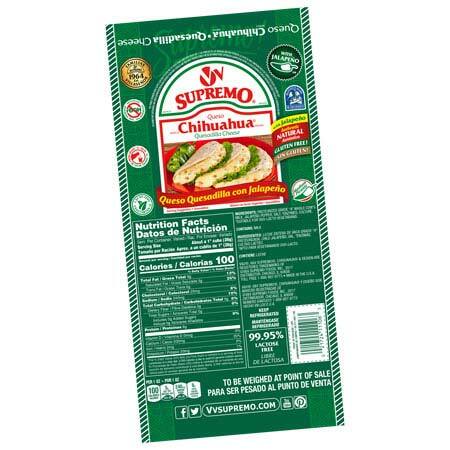 Melt for quesadillas, queso fundidos (broiled cheese), pizzas, enchiladas, sandwiches, pastas, and casseroles. 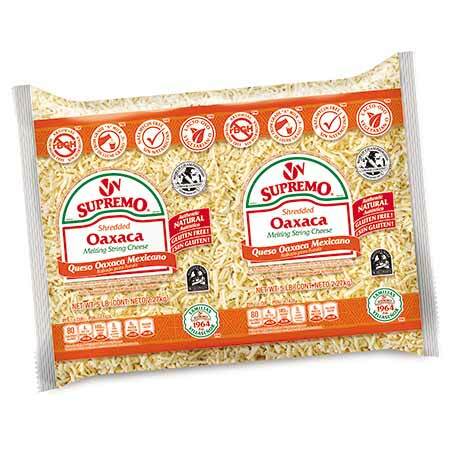 CHARACTER & TEXTURE: Convenient, pre-shredded form of Oaxaca cheese. Melts easily with a long stretch and slight chew in the bite. SUGGESTED APPLICATIONS: Melt for quesadillas, pizzas, enchiladas, sandwiches, pastas and casseroles. FLAVOR PROFILE: Shred combination of rich, buttery, slightly tangy and full-flavored cheeses. CHARACTER & TEXTURE: Pre-shredded for convenience. Long, luxurious stretch when melted. 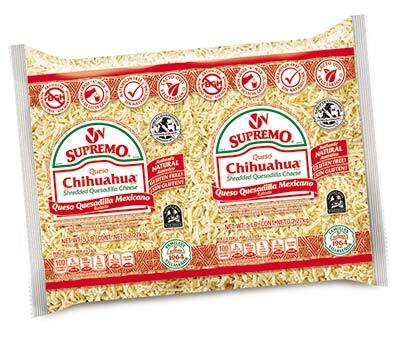 The ultimate authentic three-cheese blend featuring the shining stars of Mexican-style cheese. A combination of our 2 distinctive premium melting cheeses combined with a hint of our bold and sharp aged cheese. SUGGESTED APPLICATIONS: Quesadillas, queso fundido (broiled cheese), enchiladas, pizza, sandwiches, pasta, and casseroles. Any melting cheese application, where top quality product is desired.